Bring the water to a boil in a medium saucepan. Add the quinoa, cover and bring to a boil again. Reduce the flame and simmer for 12 minutes. Turn off flame and let sit for 5 minutes. 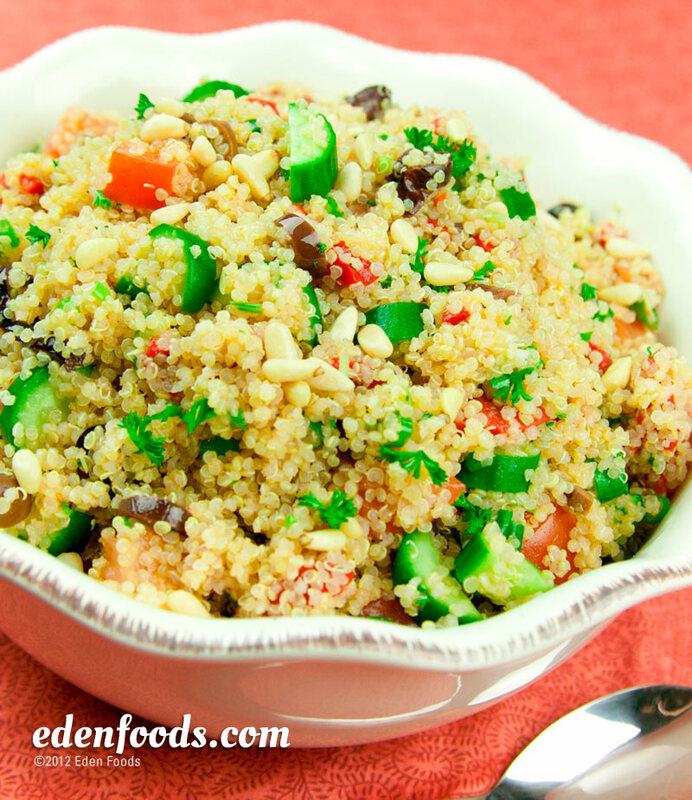 Place quinoa in a large mixing bowl and fluff with a fork to cool. Add the tomatoes, cucumber, scallions, garlic, parsley, pine nuts, olives and red peppers. In a small bowl, mix the dressing ingredients together. Pour the dressing over the salad and toss to mix thoroughly. Serve room temperature or chilled.